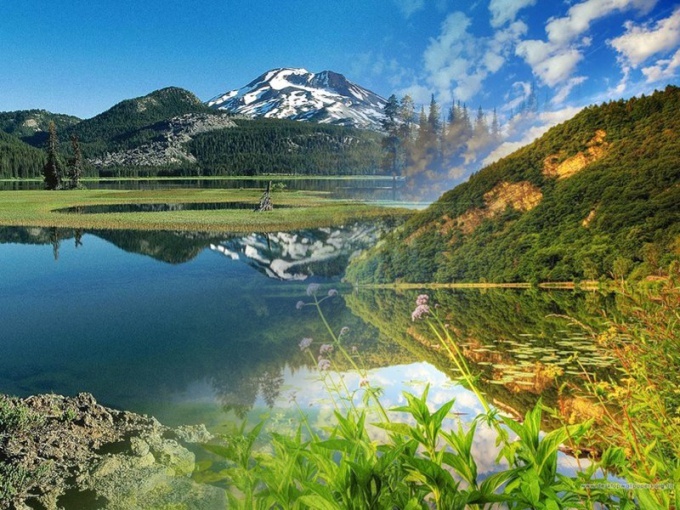 Using Adobe Photoshop you can combine multiple photos into one. 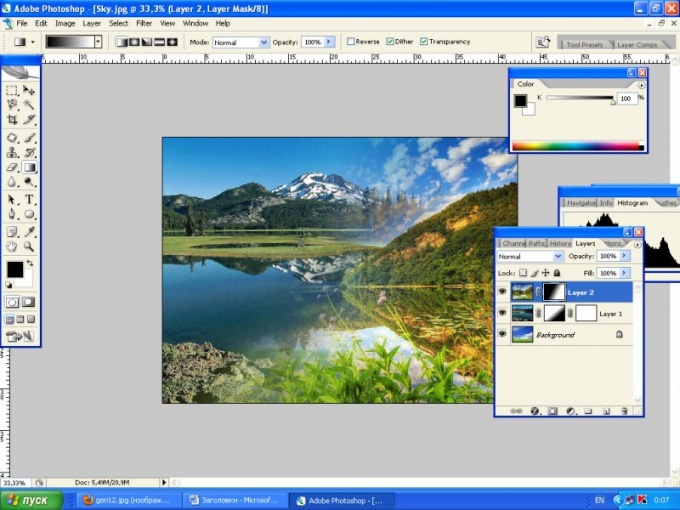 This helps to create panoramic pictures or collages. Designers widely use this technique in their work. 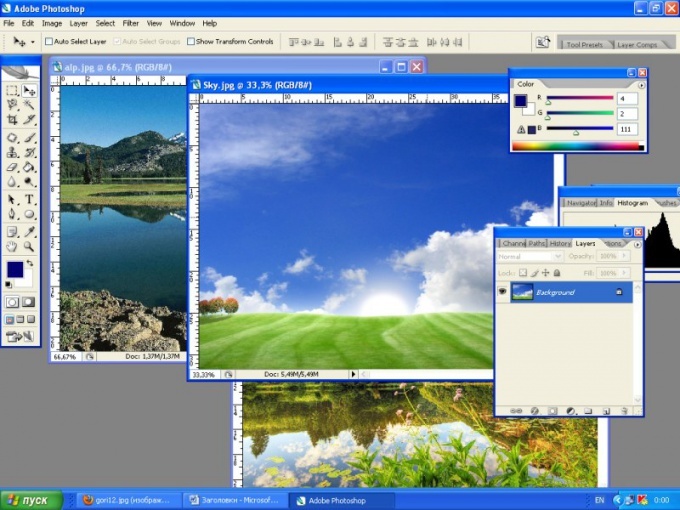 Install Adobe Photoshop on your computer and run it. Open the required image in the program separately. Then, in any of the photos, left click the mouse on the main image layer and select Duplicate ("Duplicate layer"). In the opened window, locate the document with other images and click on them. Place the image at the same level using the Move tool. Adjust the composition as you want to merge. Now we need to work with a layer mask. 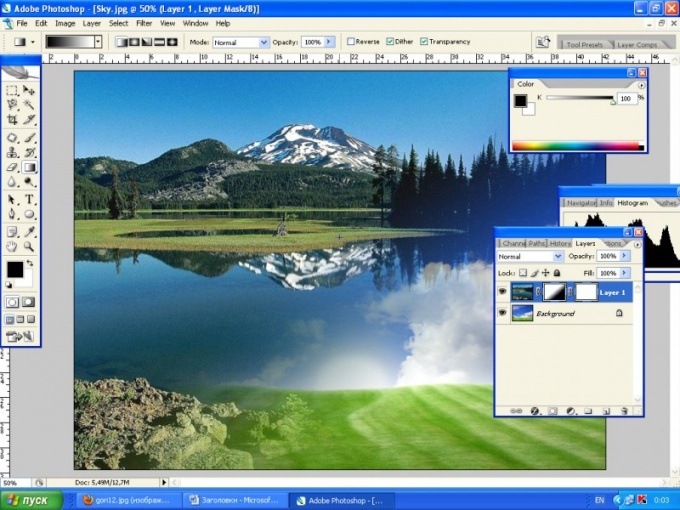 Select the layer that were at the top and click on the picture Add Layer Mask ("Add layer mask"). With the help of Move Tool slide the top layer down to make it easier to work with. This must be done to choose the length of the gradient for the mask in the future. Find the Gradient tool ("gradient Fill tool") or use the keyboard shortcut Ctrl+G. to Set the gradient the same way - Horizontal, Normal, 100%. These values, select the top line of the main window.Click on the top edge of the picture you want to fill, and while holding the Shift key draw an imaginary horizontal line. She must go upper from the beginning to the end of the bottom of the image. Now tighten the top image back up. Follow the mixing layers. Save the file under a different name. The effect will be more natural if the photos have a similar tone. If you want to give the sharpness effect, make the gradient line shorter.